It is Spring and time for gardening!! Our garden season is already nearly over, actually. But that’s the deal when you live in a desert. It’s not going to stop us from trying to plant something though. There are so many reasons that a garden should be a part of your homeschool. 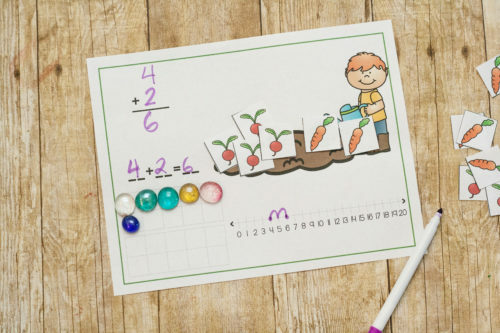 It’s a great and natural way to work on math, science, problem solving – and probably a lot more. So Cassie and I wanted to do a full week of Garden themed printables! Cassie and I have decided to do another week full of theme printables and this week is Garden! 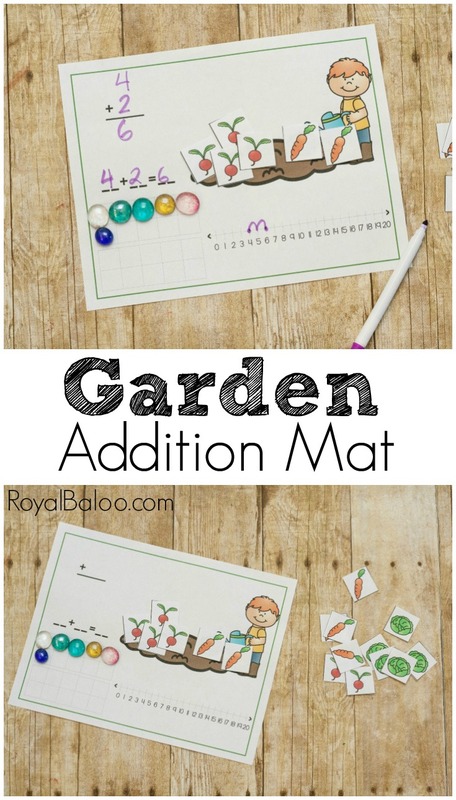 All week long we will have Garden printables. To get updates on the most recent printables or the first peek at exclusive content, you need my newsletter! Logi-Bear loves to work on math with hands on materials- like gems, unifex cubes, etc. 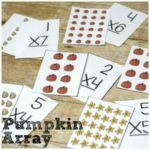 I also try to get him to work on the problems using multiple tools – like ten frames and number lines. So this mat was designed especially with him in mind. We can work on any problems up to 20, use what manipulatives we want, and work on the problem multiple ways. I also included two ways to write the equation – vertically and horizontally. We laminated ours so we could write on it with dry erase markers and use it over and over. 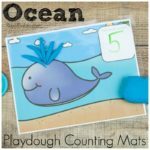 You can use the mat with your regular math curriculum or just for extra practice. We don’t do a lot of worksheets but we use Singapore math. Instead of having him fill out the worksheets, we might get out a mat like this to work through the problems. Otherwise, we grab dice and make it a bit of a game. Roll two or three dice (three 6-sided dice would, at most, add up to 18). Roll your dice and choose which method you’ll use to start with. We typically start with the 10-frame. Add your gems, rocks, etc. I try to encourage them to use one color for each number. Previous Post: « Introverts Homeschool Too. And we even socialize. Sometimes.